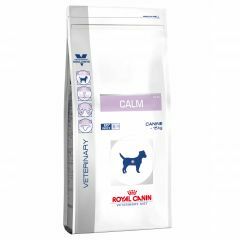 Royal Canin Veterinary Diet Canine Cardiac (EC 26) Dry is a complete dietetic feed for dogs formulated to support heart function in the case of chronic cardiac insufficiency. This diet contains a low level of sodium and an increased K/Na ratio. 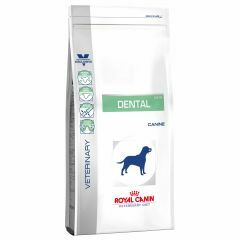 Royal Canin Veterinary Diet Canine Dental Dry (DLK 22) is for the nutritional management of daily oral hygiene in dogs over 10 kg. 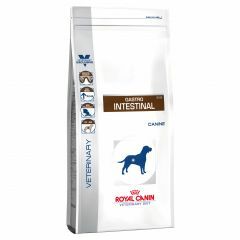 It will also limit the development of dental plaque and tartar and will help to fight bad breath. 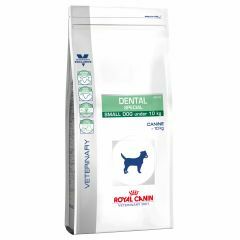 Royal Canin Veterinary Diet Canine Dental Special Small Dog Dry (DSD 25) is for the nutritional management of daily oral hygiene in dogs under 10kg. 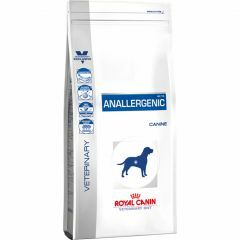 It will also limit the development of dental plaque and tartar and help fight bad breath. Royal Canin Veterinary Diet Canine Diabetic Dry (DS 37) is a complete dietetic feed for dogs formulated to regulate glucose supply (Diabetes Mellitus). This feed contains a low level of rapid glucose releasing carbohydrates. Royal Canin Veterinary Diet Canine Fibre Response Dry (FR 23) is a complete feed for adult dogs that suffer with constipation. Royal Canin Veterinary Diet Canine Gastro Intestinal Dry (GI 25) is a complete dietetic feed for the nutritional management of dogs, formulated to reduce acute intestinal absorption disorders and promote nutritional restoration and convalescence. Royal Canin Veterinary Diet Canine Gastro Intestinal Moderate Calorie Dry (GIM 23) is a complete dietetic feed for the nutritional management of dogs formulated to reduce acute intestinal absorption disorders, and as compensation from maldigestion. Royal Canin Veterinary Diet Canine Hepatic Dry (HF 16) is a complete dietetic feed for the nutritional management of dogs formulated to support liver function in the case of chronic liver insufficiency and for the reduction of copper in the liver. Royal Canin Veterinary Diet Canine Hypoallergenic Dry (DR 21) is a complete dietetic feed for dogs formulated to reduce ingredient and nutrient intolerances. Royal Canin Veterinary Diet Canine Hypoallergenic Moderate Calorie Dry (HME 23) is a complete hypoallergenic moderate calorie dog food formulated to reduce ingredient and nutrient intolerances in dogs who are overweight, neutered, inactive or mature. Royal Canin Veterinary Diet Canine Junior Gastro Intestinal Dry (GIJ 29) is a complete dietetic feed for the nutritional management of puppies formulated to reduce acute intestinal absorption disorders, promote nutritional restoration and convalescence. 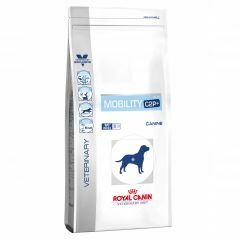 Royal Canin Veterinary Diet Canine Mobility C2P+ Dry (MC 25) is a complete feed for adult dogs with joint sensitivity. Royal Canin Veterinary Diet Canine Renal Dry (RF 14) is formulated to support renal function in the case of chronic or temporary renal insufficiency, through its low level of phosphorus and high quality protein.